There are hundreds of thousands of bloggers out there on the web. If you would like to be one of them, you will need some guidance first. We will show you step-by-step how you can start your own blog even if don’t know anything about programming and web design. Creating a blog or website can be beneficial in many different ways. If you are an independent writer, you can gain recognition for your work by blogging. If you are a business owner, you can blog to promote your products. Regardless of your reasons, starting a blog is the same for everyone. Starting one’s own blog is quite simple and cheap. In fact, you can have a blog up and running in about 20 minutes. However, maintaining your blog and promoting it is not so easy. This article will focus on how you can launch your own private or business blog. We will start with the basics and address some of the most common problems newbie bloggers face along the way. The very first step in creating your own blog is choosing a topic. It sounds simple, but this is actually the hardest part of the process. It’s easy to come up with a topic for a blog. For example, let’s say you like to travel and want to blog about your experiences. Of course, you would want this blog to become popular and perhaps earn you some extra cash each month. The problem is that travel is one of the most commonly used topics among bloggers. There are numerous travel blogs available on the web covering all kinds of sub-topics as well. So, if you choose a generic topic like this, your blog could end up in a tough and drawn-out battle for readers with hundreds of other similar blogs. If you want your blog to attract attention and interest, you need to come up with a unique topic. As a rule of thumb, avoid generic topics. For example, don’t blog about travel in general. Instead, try to choose a travel topic not covered by other bloggers. You could choose to travel to a less-trodden destination and write about uncommon experiences. There are countless travel bloggers covering Thailand, but how many write about exploring the South Pole? Also, how many Thai travel bloggers may have traveled to a rural northern area, or how many might be traveling with a disability? Not many. Questions such as these should help you find a niche topic to blog a about. This applies to business bloggers as well. All in all, what you blog about should be unique for people to be interested in. You can find other blogs in your field by Googling around. Read their content, and see where your blog can meet an unmet demand. After doing all this research, choose your topic. Once you have your topic, it’s time to begin creating the blog. No one really builds a blog from scratch (but if you are technically knowledgeable, you can try). You will create your blog using a Content Management System (CMS). 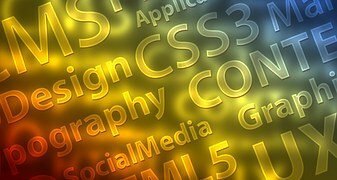 In simple terms, a CMS can help people to create digital content without having to write code, at least not initially. A popular CMS you may have heard about is WordPress, the number-one blogging platform in the world. There are many others CMSs for newbies and experts alike as well. WordPress is a good CMS to start your first blog. It’s free, easy to use, and comes with a host of extremely useful features. Also, WordPress has a large supportive community behind the platform. However, do not limit your options to WordPress. Joomla and Wix, like WordPress, are easy to use. Wix is a drag-and-drop website builder. That means you can easily drag and drop components on to a blank template to create a blog. No technical expertise other than moving your mouse is required. Drupal is a good option for advanced users. You can choose the CMS you like depending on your level of comfort with the features on offer. Once you know which CMS you prefer, sign up for the service. You will be presented with a number of web templates to start designing. But there’s an important job to do before that—choosing a domain name. The domain name is the web address for your blog. Almost all good blogs use the name of the blog as the domain name. However, you must be careful here. You can choose any name for your blog as long as it grabs attention. For example, “My Adventures in the South Pole” is a good enough name for a blog. On the other hand, myadventuresinthesouthpole.com is a terrible name for a website. It’s too long, and your readers might not remember it. When choosing a domain name, there are few simple rules to follow: keep it simple, short, memorable and unique. Avoid using hyphens, numbers and similar characters in the domain name if possible. Do not use complicated words either. Also, your blog’s domain should not sound too similar to the address for another site. Not only will it confuse users, you might face copyright violation claims as well. Therefore, do your best to make your domain name unique. You can check availability of the domain name of your choice for free online. Pay attention to the domain extension as well. This is the .com or .org part at the end of a web address. Most bloggers opt for the common .com extension. But don’t hesitate to entertain an alternative extension like .org, as long as the extension is relevant to the site. If you are a private blogger, don’t use .org, for example. Stay away from rare domain extensions like .biz or .tk. There’s another important factor to consider. When you use the free services of WordPress or another CMS, you will get a domain name with the CMS name attached, like mysite.wordpress.com. If you want to monetize using your blog, or if your blog is for business purposes, you should have an independent domain name. It’s not expensive to purchase. You can get your own domain name with WordPress for as little as $10 per year. When you get a .wordpress domain name, your blog will be hosted on WordPress company’s servers. However, if you choose an independent domain, you might want to have it hosted separately using a service like BlueHost or HostGator. Simply put, web hosts manage the files on your website. The web host will be responsible for downloading your blog onto users’ computers and smartphones. The web host will also manage traffic coming to your site. Therefore, it’s important to choose a good web host. If you have a bad one, your site might load slowly, go offline at times, and crash if many users visit at once. You will have to pay separately for web hosting. Whether it’s a cost you should bear will depend on your needs. You can greatly benefit from extra features to manage your blog if you pay for a web host, instead of hosting your blog for free on a CMS. If you are blogging for commercial purposes, investing in a separate web host is not a waste of money. The readership of your blog will swell over time. You will need a good web host to manage traffic effectively without causing a crash. Choose a web host with free installation, customer support, good reviews and easy integration with popular CMSs. BlueHost, for example, allows users to buy a domain name first, and then the blogger can easily install WordPress to create a site for that address. Finally, you have come to the blog design stage, the most creative step you will encounter. Depending on the CMS you chose, you will have a selection of web templates to pick from as the layout for your blog (also known as ‘themes’). You can buy a template if you don’t like the free ones. You will have to modify these templates to create a unique look for your blog. If you use a template as it is, your blog will look like a thousand other websites out there. Though you can pick just about any template available for your blog, don’t. Think about the design you want for your blog seriously for a minute. More importantly, think about it from a reader’s perspective. What kind of blog do you think your readership will prefer? One with lots of images, or strictly just text? When it comes to designing the blog, keeping it simple is always the best. Therefore, choose a minimalist theme. Simple blogs are easy to browse, more appealing and load faster. You might want to install plugins and widgets for your blog. Keep these components to a minimum. Plugins, for example, are data heavy and may slow down your site. So, use only important plugins like Google Analytics, which will help you monitor stats for your site. Modifying a web template is not that hard, but will depend on your familiarity with the CMS you are using. So, before you start making serious changes, become familiar with the platform you are using. The CMS will provide you with a dashboard for your account. Here, you will be able to tweak, monitor and keep track of the sites you are building. For example, the WordPress dashboard will have sections like “pages,” “comments,” and “library,” to store all your images and video. Spend some time on this dashboard to understand all the tools at your disposal. Before you decide on your final layout, look around on the web and see what others are doing with their blogs. Research design options on professional blogs, and be inspired by them. When the design layout is done, it’s time to create blog posts, image galleries, tabs and so on for your blog. Writing a good blog post can be a challenge for even the most accomplished writer. There is no definitive writing style for blog posts. It largely depends on the audience. However, most bloggers prefer to keep their posts short – around 500 words. If you are targeting a general audience, keep blog posts short and easy to read. That will keep readers interested. Remember, modern web users have short attention spans. So, your posts will have milliseconds to grab the attention of a potential reader. Each of your posts will have to be accompanied by a captivating title. The title plays the most important role in grabbing attention. Though it might be tempting to write a sensational title, keep it relevant to the rest of the post. Use interesting subheadings as well if necessary. Posts must be grammatically correct and factually error-free. All posts must be of highest quality to retain readers and rank high on search engines. As mentioned earlier, the modern web user’s attention span is fleeting. So, use images and infographics to attract these attention-deficit users. Web users are highly visually-oriented. They prefer to click on links if there are engaging visuals at the destination. Also, use tools like infographics to keep readers scrolling. Complementing all your posts with visual cues is an excellent method for keeping readers engaged and coming back for more. As you create content, you must learn a bit about SEO, which stands for search engine optimization. Your blog will need SEO to get good rankings on Google Search. There are many ways you can incorporate SEO into your blog. The most common way is to use keywords strategically. You can research relevant keywords for your site on Google. Use a single keyword only once or twice. Insert them into page titles, descriptions and meta tags in a natural way. If you insert a keyword into a sentence, the sentence should flow naturally. Another easy SEO trick is to use links to credible websites. You can use links to refer readers between your own posts. Using external links is a good way to associate your blog with other trustworthy and popular websites. This article will not discuss SEO in depth. But you should certainly search online for SEO tactics that will boost traffic stats for your blog. Incorporating SEO during the creation stage will be much easier rather than waiting until later. Now you can publish your very first blog post on your own site. Once you do that, it’s time to promote your blog. As you may already know, simply having a blog online is not enough to attract readers. You will have to promote your blog on social media sites and forums. If possible, have a notable personality or a popular blogger guest post on your new site to benefit from their fame. Similarly, you can guest post on popular blogs as well to direct traffic to your site. Keep in mind that your blog will not become famous overnight. You will have to post content for several weeks until it can gain followers. You must post content daily to remain relevant. Follow online trends, and tailor your posts accordingly to get your blog trending as well. All this may not be easy at first. You will have to learn a lot along the way until your blog can be popular. Instead of chasing traffic stats, aim to retain users who become followers. Keep posting compelling material to increase your daily user number. This is pretty much the only number that matters when it comes to the popularity of a blog. Create an e-newsletter and alerts for your blog. Your followers will be able to receive latest news and new post alerts with these tools. Finally, your blog is up and running. Now you may be wondering how to make money from your blog. It’s important to understand that you won’t be able to make money right away. Bloggers use online advertisements and product promotions to monetize blog posts. Some may sell their own products on the blog as well. (You will have to set up an e-commerce page to sell things right from your site.) You will need several hundred users before you can attract lucrative advertisers. Do not fill your blog with pay-per-click ads right away. Readers in general loathe ads. The best way to advertise is to pretend not to advertise at all. The biggest no-no of blogging is a user experience that is hindered by advertisements. Avoid giant, flashing ads and pop-up windows at all costs. Once you have gained a stable following, you will be able to push products and cash in. If you use the pay-per-click ad model, you might not be able to gain a devoted following. At first, focus on gaining followers, not money. Use tools like Google Analytics to understand your audience and the content they prefer the most. Researching users will help you improve your blog and make it more relevant to the target audience. You can also conduct mini online surveys to find out what users like or dislike about your blog. A blog is a powerful marketing platform. Be willing to make changes for the better as the blog matures.